Welcome to another installment of Ask a Wine Pro, wherein sommelier and all-around wine lady Whitney Adams answers any and all of your wine-soaked questions. We are in the very thick of summer, and with this heat, cold wine is most definitely in order. But what if your bottle of choice isn’t down to the proper temp when you need it to be? This is the dilemma that many thirsty and impatient drinkers find themselves in all too often. 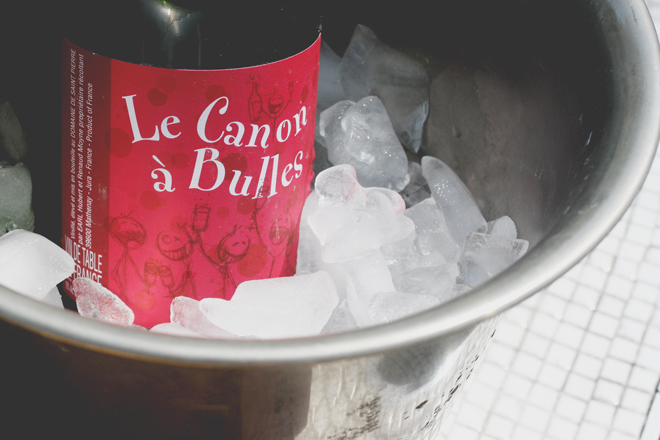 So, what’s the quickest and most effective way to get a bottle of wine ice cold? Read on to find out some top tips for chilling. Q: What’s the best way to quickly chill a wine? A: Grab another bottle of already chilled wine or whip up a cocktail and drink that while you wait for the bottle in question to get cold. I’m only half-kidding. But really, the fastest way to chill a bottle of wine is to submerge it in a bucket of salted ice water. Continuously spinning the bottle by the neck and a flick of the wrist while submerged also speeds up the process. Warning: the spinning method is probably not best suited for your bottle of bubbly. Other methods that can work in a pinch: wrapping the bottle in damp paper towels or freezer gel packs and throwing it in the freezer (don’t forget about it though…) or transferring the wine into a wide bottom decanter and placing that over ice. The increased surface area of wine to ice helps speed up the chill time.